UpViral is a SaaS based platform enabling you to implement so called viral loops. It does it by encouraging your visitors to bring more visitors by enticing them with giveaways or rewards. It can help you implement a viral referral marketing strategy to your WordPress blog. UpViral is a SaaS based platform enabling you to implement so called viral loops. It was created by Wilco de Kreij, a top marketer and IM related software developer. He created top quality applications that boost efficiency, website traffic as well as sales. UpViral, the ultimate viral referral marketing platform, is Wilco’s most important creation. What is Viral Referral Marketing Anyway? Viral marketing (as well as “referral marketing”) is simply “word-of-mouth advertising”, taken to the next level. Word-of-mouth has been around since Roman times and has survived every paradigm shift in advertising through the ages. Why is UpViral So Cool? 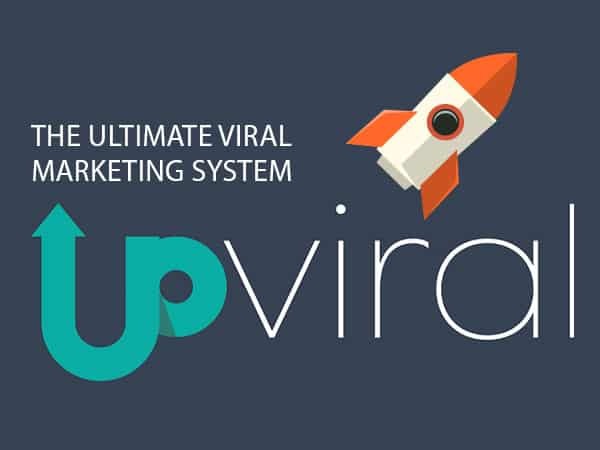 UpViral is designed to get your visitors to bring more visitors by enticing them with giveaways or rewards, and they can do it by sharing your content, even multiple times, using any kind of media that is familiar to them (social media, email, blogs, forums, you name it). It is generally known that people have higher trust in the recommendations coming from friends and family than the ones coming from unknown people. During the beta testing period, it has been revealed that the visitors shared the referral links 2.5 times in average, which means that using UpViral you could get over twice as many visitors that will compound over time. This is like having a never ending stream of traffic that lasts for years to come. And the best thing? All this never ending traffic is highly targeted and free, all you need is an initial burst of traffic for priming the viral machine! Manage all of your campaigns from creation to execution and analysis in one place. With UpViral, you get all the capabilities, metrics and analysis tools that you and your staff will ever need to successfully execute any type of viral campaign – in virtually any market or niche. Send timed/triggered emails based on users’ actions, known to get you additional shares per customer. Automatic alert emails that inspire visitors to meet their next goal. Follow-up emails make it easy for repeated sharing, again and again. Add FB, Twitter and other buttons right into emails to make sharing easier! It is possible to split-test multiple lead-magnet pages to figure out best opt-in rates. You can also split-test multiple thank-you pages to figure out best sharing rates. Also email split-test is available to find out which one has the best click/open rates. Uses points-based system, such as rewarding visitors based on number of referrals. Generates unique referral invitation links. You have complete control over the type and number of points given per visits, leads or shares. Also you can manually provide additional rewards for sharing. Provides automated goal-based rewards; provides several rewards depending on points accumulated or objectives satisfied. The rewards can be specified as downloadable files, links or instant discount coupons and their delivery is fully automated. Winner selection can be manual or automated, with easy scheduling for multiple contests and automated prize notification and awarding. You have complete control over the appearance of the posts and the way people share their links. The integration list is quite impressive. It works natively with all major service and, frankly, with some that I have never heard before. So, you don’t have to worry about. And as a big bonus, Zapier includes an UpViral integration, so basically the limit is the sky. UpViral includes a well developed tagging features which enables the use of segmentation an campaign automation where supported. The powerful anti-fraud features eliminates the possibility of cheating the system, via cookie and IP tracking. All the visual display is full-responsive and 100% mobile-optimized and all conceivable platforms are supported – Android, IOS or Windows. There is also a Pro offer at half the usual price if paid annually, but this offer seems to be available only if you attend their presentation webinar, which is available via the following link: Click here to attend the webinar. My opinion is that the standard plan is a little bit too pricey for a beginner. 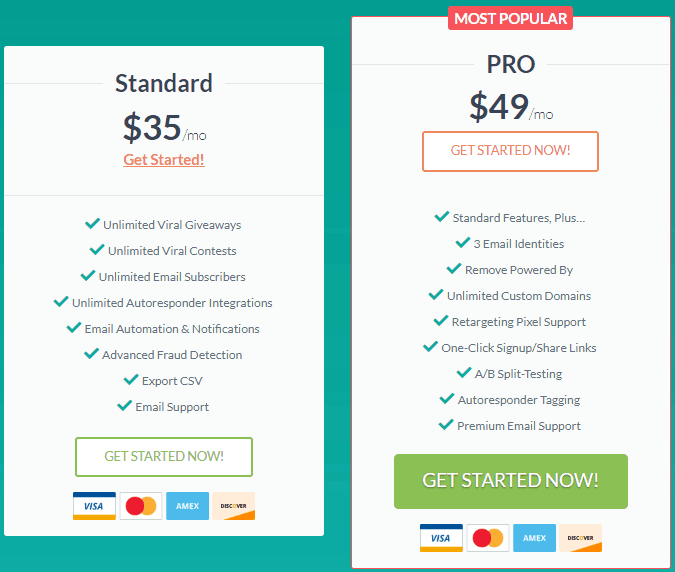 You are already paying for the hosting, the autoresponder, the advertising, the traffic, the keyword research tool maybe. If you add UpViral to your toolbox you could probably exceed your budget. But everything is relative and it all depends on the current level of your business and if you are willing to get it to the next level. Indeed, no other software in the marketplace comes near to what UpViral has to offer in generating traffic at any price tag! Therefore, if you are planning to boost your website traffic and your income by automating your viral referral marketing strategies, then you definitely need to consider this software! I highly recommend it. Once again, click here to access the official website. Thanks for explaining about UpViral software.It is very interesting topic.